A celebration of Garlic in the beautiful towns of Gloucester and Stroud and surrounds. 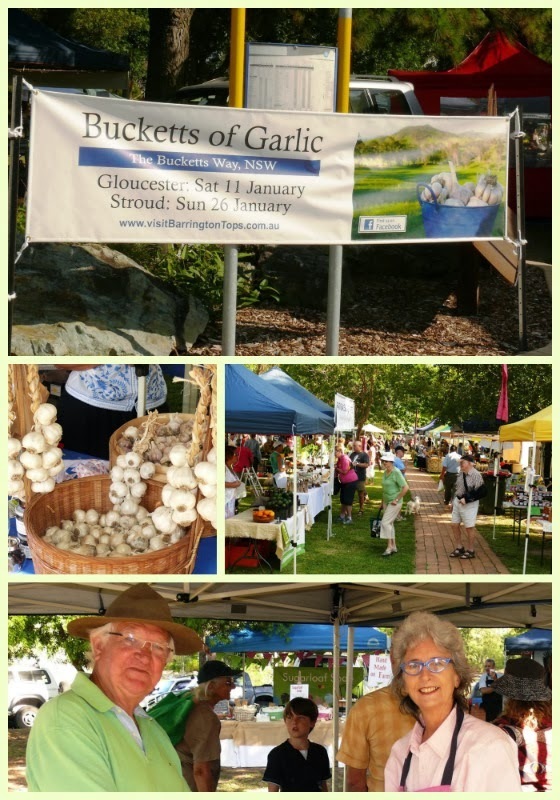 What a glorious Gloucester Garlic Day at the recent Farmer's Market. There was a huge selection of local garlic, including our Certified Organic varieties and our Black Garlic (more information at www.blackgarlic.net.au). We're feeling the heat! 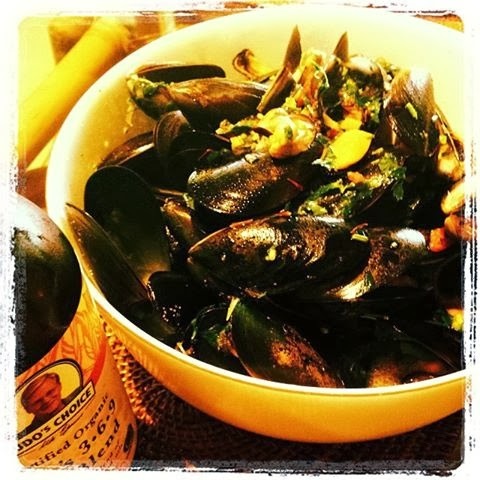 Dinner for a hot summer's night - delicious Australian mussels with our Barrington River Organic Farm certified organic garlic. 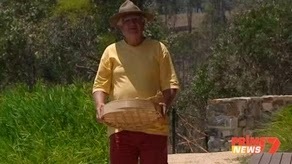 Our beautiful Barrington River Organic Farm was featured on Prime 7 News on 7 January 2013. Our delicious Certified Organic Garlic is strong and sweet, despite the long dry spell. If you would like to try our "Good Gloucester Garlic", as Jan puts it, please visit our website, www.barringtonriverorganicfarm.com.au.